November 17, 2016 Posted by SEOteamin "Cool Jobs"
At TRS, one of our main priorities is minimizing damage and maximizing convenience for our customers. Recently, we completed a job for The City of Odessa. Find out how our trenchless services proved to be a huge benefit to them! Thanks to trechless technology, we minimized damage and maximized convenience for the City of Odessa! 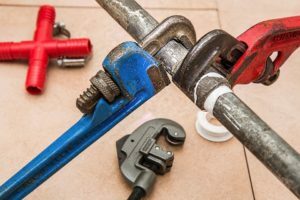 For this project, the traditional way of repairing the plumbing would have been digging through the parking lot and into the building across the sidewalk. As you can imagine, this would require shutting off the plumbing and limiting access to the building. It’s actually quite possible that the building would have been shut down entirely. However, that was not the case…thanks to trenchless technology! With our method of pipe bursting and sewer lining we saved them from the inconvenience of completely shutting down. In fact, we did our work after-hours to keep disruption to a minimum. Not only did we minimize disruption, but we saved them time in clean up and repair. Needless to say, The City of Odessa was happy with the minimal damage and maximum convenience. Those are just two of the many advantages of choosing trenchless technology for your job. 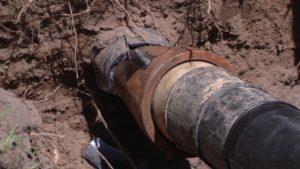 At TRS, we can help with your trenchless and no-dig pipe repair for your home, office building, apartment complex or other business property without causing costly time loss from digging and excavation. If you’d like more information on our trenchless services or a bid for your job, please contact us! We’d be happy to discuss your options.